Soon after the declaration of Higher Secondary results, students make different career choices and choose respective education path to reach their goal. Many of the students choose Hotel Management as their career and choose to go for various hotel management courses after completing their Higher Secondary (10+2) education. One of the very popular and basic course taken up by large number of students is Bachelors of Science in Hospitality & Hotel Administration. The course is offered by various colleges across India including IHMs, private colleges and state government colleges. To get admission in top and premier colleges and institutes across the country, students have to give NCHM Joint Entrance Exam (Hotel Management Entrance Exam). Generally, the NCHM JEE (National Council of Hotel Management Joint Entrance Exam) is conducted in month of April every year by the council. The first and foremost requirement for appearing in this entrance exam is 50% or above marks in Higher Secondary (10+2). Students who have not achieved 50% or above marks can go for other certificate or diploma courses in Hotel Management offered by various prestigious institutes. To start off with early preparations for the hotel management entrance exam, students should start working on their reasoning, communication skills, overall personality and numerical aptitude. To keep on right track with proper guidance, students should opt for a reliable hotel management entrance exam coaching centre. 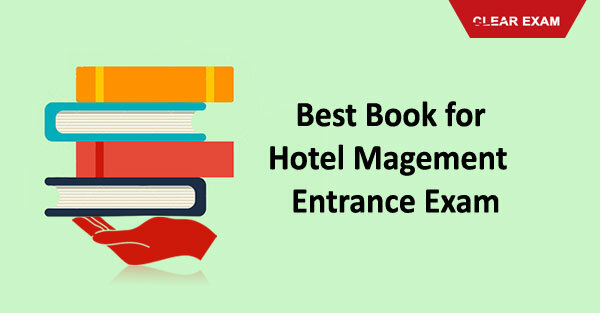 Apart from the hotel management entrance exam books/study material mentioned above, candidates should also try to acquire and solve previous year question papers, mock tests and sample questions for NCHM JEE 2017.